MAPP is an alliance of over 88 non-governmental, non-partisan and volunteer organizations, informal associations of citizens, support groups, syndicates and individuals working in different fields and joining forces to underline and single out the problems which the citizens are facing as their common interest; working towards promotion of social justice and equality, participatory democracy and civic solidarity in order to provide responsibility and transparency in the work of the authorities, respective public institutions and governmental bodies when the implementation of the accepted international obligations and responsibilities are concerned. In cooperation with the Faculty of Dramatic Arts a short movie against poverty is produced expressing true stories of people experiencing poverty involved in the MAPP’s activities and research. December 2013, Skopje: the 3rd Conference of People experiencing poverty and social exclusion was held, attended by 200 people, of which 150 persons living in poverty. See the photo gallery. In both February and October 2013, MAPP organised public debates on decent minimum income, among many other campaigning activities. Watch this video here. June 2013: MAPP gave a presentation of its work at EAPN’s General Assembly 2013 in Belgrade, Serbia. October 2012-March 2013: in partnership with the National Democratic Institute, the Macedonian Anti-Poverty Platform is working on introducing a new legislative initiative on Minimum income in FYROM. On 16.10.2012, the MAPP launched its latest annual report on poverty and social exclusion 2011 at the EU Info Centre in Skopje. The event was covered largelly by the media. 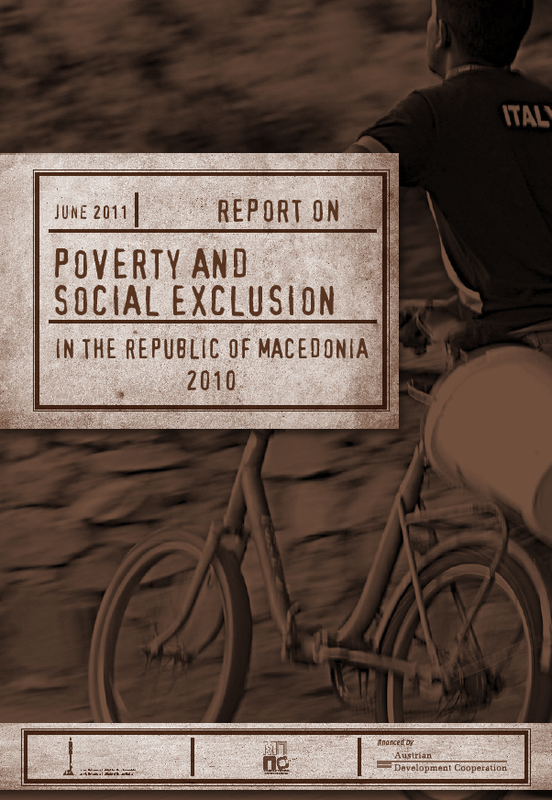 This annual report on poverty and social exclusion 2011 assesses and analyses policies, trends and challenges in the field of poverty and social exclusion as well as trends, as well as the situation of vulnerable groups identified in different regions of Macedonia. On 29.09.2012 in Skopje, the 2nd Conference for People experiencing poverty and social exclusion gathered 150 participants, sharing their experience in 4 workshops: Social Care, Health care, Unemployment and Gender equality. The goal of this conference was to revise the Declaration drafted last year at the very 1st Conference for People experiencing poverty which 120 people had attended, and to put forward new requests to the Ministry of Labour and Social Policy. Download the revised MAPP Declaration of People Living in Poverty and Social Exclusion. A representative from EAPN Serbia attended this years’s Conference. See Videos of the conference: part 1 and part 2 – Photo Gallery. The second part of the conference was on on Square Macedonia, where MAPP organized a social public event with street artists, with all profit made from the event to be given to the Lice v Lice NGO to finance their street magazine and build capacity for the children, who sell the magazine. More information about ‘’Lice V lice’’. See video on this event and Photo gallery. Since August 2012…: Macedonian Anti-Poverty Platform has been giving public support to the Citizens’ Initiative Aman and has already attended 11 public protests against the constant rise in prices in Macedonia. Conducted focus groups with poor and vulnerable groups. Organize five public debates and promotion analysis – See photo gallery of the project. February-March 2012, Trainings on Active citizenship, civic participation, human rights and monitoring of budgets. Together with the Institute for Human Rights Ludwig Boltzmann (BIM-FV Skopje), MAPP in organized 7 trainings on active citizenship, civic participation, human rights and monitoring of budgets in the following municipalities:Negotino (23 – 02.24.2012), Berovo (22 – 23.02.2012), Radovis (12 – 13.03.2012), Konce (14 – 03.15.2012), Pehcevo (20 – 03.21.2012), Caska (22 – 23.03.2012) and Studenicani (28 – 29.03.2012). The participants were representatives of local nongovernmental organizations, representatives of municipalities and other interested citizens. see photo galleries: album 1; album 2; album 3; album 4; album 5; album 6.